Hope for Architecture was born out a hope to subvert our disposable building. Chapman realized that our grandchildren and our grandchildren’s grandchildren will be tasked with rebuilding 80% of our current structures. After building a modest garden shed in his backyard, Clay realized that traditional structural masonry applied in a pre-WWII, utilitarian manner, provides a practical remedy for a host of contemporary building challenges: sustainability, rising energy costs, and housing affordability. For the past five years, we have refined the process and believe that we are able produce multi-century lifecycle vernacular at a production pace that is financially viable to multiple markets and demographics. In addition to creating a new way of building, the HFA apprenticeship program (link) is also producing new builders who are committed to executing the initiative’s values and principals. Chapman also leads an annual two week long, mass wall masonry workshop with Notre Dame’s School of Architecture. 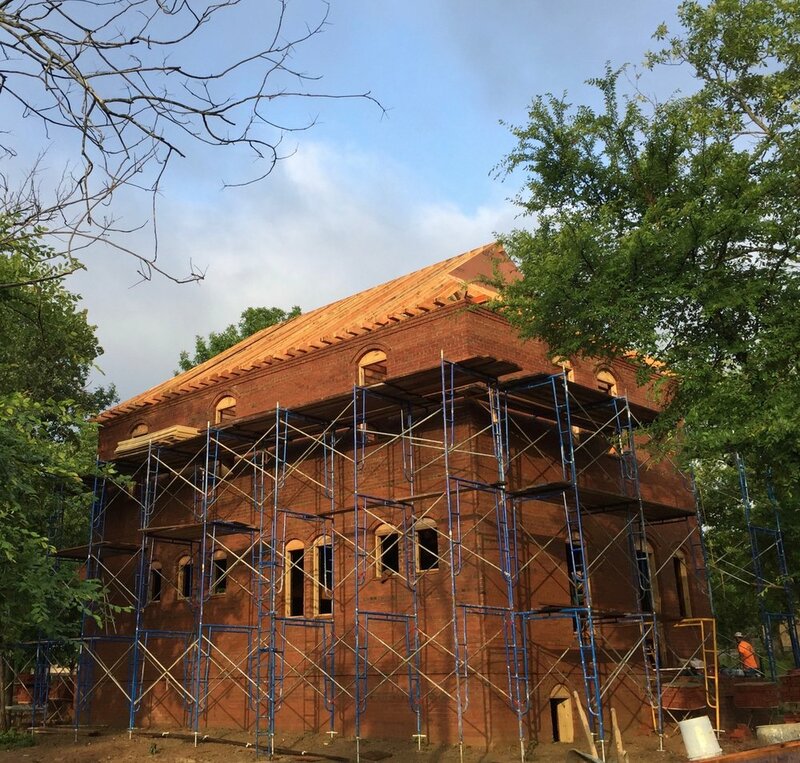 Hope for Architecture partnered with Clemson University’s National Brick Research Center in thermal mass studies that point to R biased discrepancies in the building industry’s energy modeling. Please check out our HFA buildings for what we’ve learned along the way!